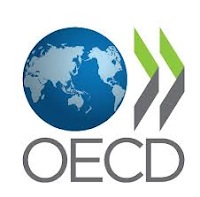 The Paris based think tank Organization for Economic Co-operation and Development (OECD) released a report on adult literacy and problem-solving skills based on surveying about 166,000 adults aged 16-65 in 24 countries. Adults with low literacy skills are 1) twice as likely to be unemployed, 2) likely to have poor health, 3) believe they have little impact on political process and 3) less likely to trust others. In addition, communities with large proportions of adults that have limited literacy skills face challenges when introducing productivity-improving technologies. Top performing countries were Finland and Japan, while Italy and Spain where the worst. The New York Times highlighted that ”the skill level of the American labor force is not merely slipping in comparison to that of its peers around the world… it has fallen dangerously behind” with younger U.S. students having far fewer skills than adults ages 50 to 65. The following video is an overview of the report. Given the report’s 461-page length, there is much data to analyze and interpret. However, declining skills in countries such as the U.S. should be a wake-up call to policy makers, educators and business leaders.